Another FREE member benefit! 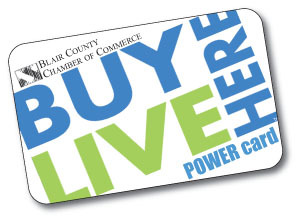 The Chamber POWER Card enables members the opportunity to offer discounts on services and products to other Chamber members by placing an offer on this card. Any member of the Chamber can take advantage of these offers. Remember, if you work for a company who is a Chamber member business you are also a member and can take advantage of these offers too! With more than 30,000 cards currently in circulation this is a way to quickly get your business name and product information out to the business community while providing a savings to fellow Chamber members. Click here to post an offer. Click here to view the full list of current POWER Card offers and begin saving today!